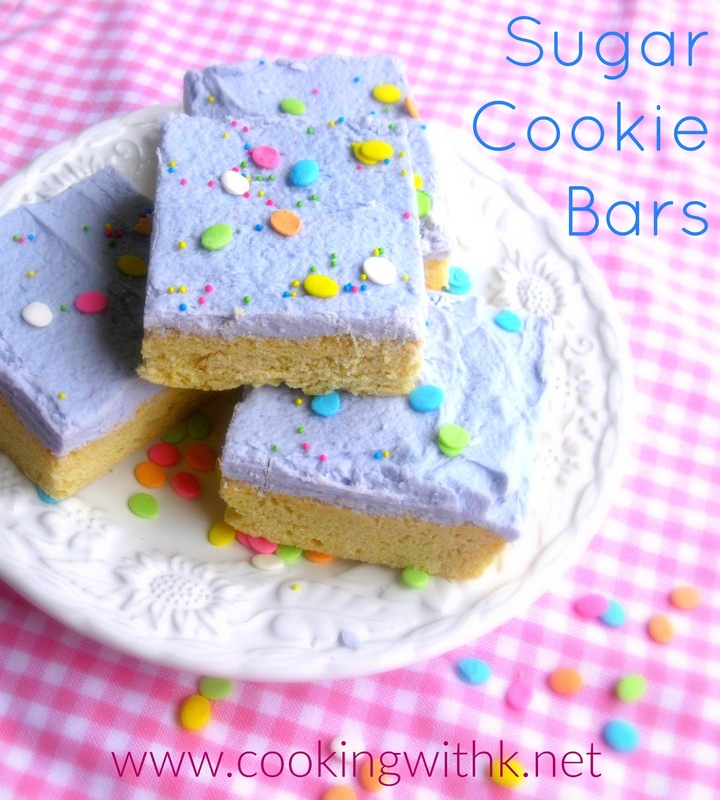 Sugar Cookie Bars, soft tender cookie dough baked in a sheet pan, frosted with a vanilla buttercream and taste just like the classic sugar cookie. 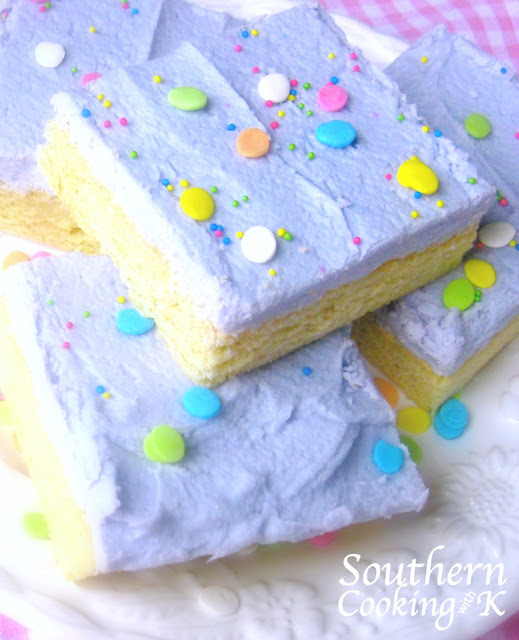 Who doesn't love a thick frosted sugar cookie? If you want the perfect taste of sugar cookies without all the work of rolling them out and cutting them out, then you will love these Sugar Cookie Bars. These cookies meet all the hype that is going around the blog world about how easy they are to make. If you don't have time to fuss with making Easter cookies, these will be the perfect ones to make. Hope you get to make some soon. Enjoy! Preheat oven 375 degrees F. In the bowl of an electric mixer, using the paddle attachment, cream the butter and sugar together until fluffy. Add eggs, one at a time, mixing well after each addition. Add vanilla and mix thoroughly. In a bowl mix together flour and baking soda. Add slowly to the creamy mixture. The dough will be thick. Spread in a 15x18 inch sheet pan. Bake for 10-15 minutes. Be sure not to over bake. Remove from the oven and cool on a rack. While cooling prepare the frosting. In a bowl of an electric mixer, using the wire whisk attachment, beat butter until fluffy about 5 minutes. Add the vanilla and almond flavoring and mix thoroughly. 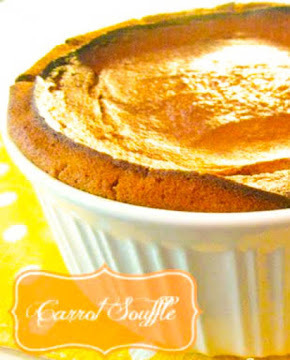 Add powdered sugar slowly adding the half and half a tablespoon at a time until mixture is creamy and spreadable. Spread frosting over the cooled cookie bars. Sprinkle the sprinkles over the frosting and gently press in to keep them from falling off. I adore sugar cookies and so do my littles. Your recipe looks great and I love the cute way you did them up. 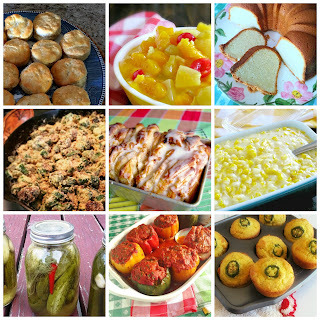 I'd love it if you could hop on over to Tell it To Me Tuesday and link up your posts with us! 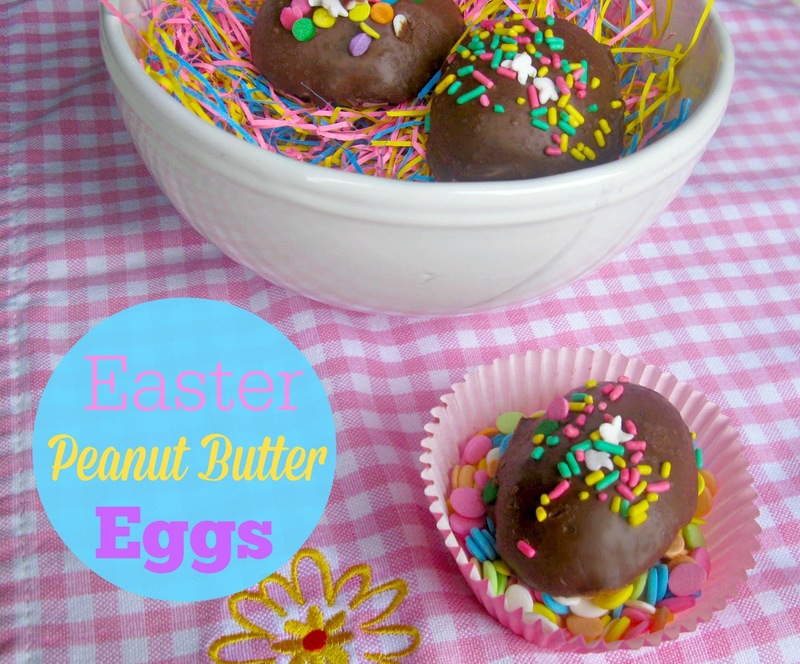 These look delicious and definitely so fun for spring and Easter! 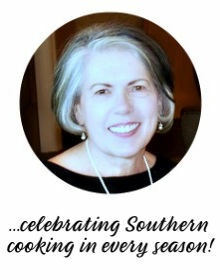 Thanks for sharing at the SNF link party! 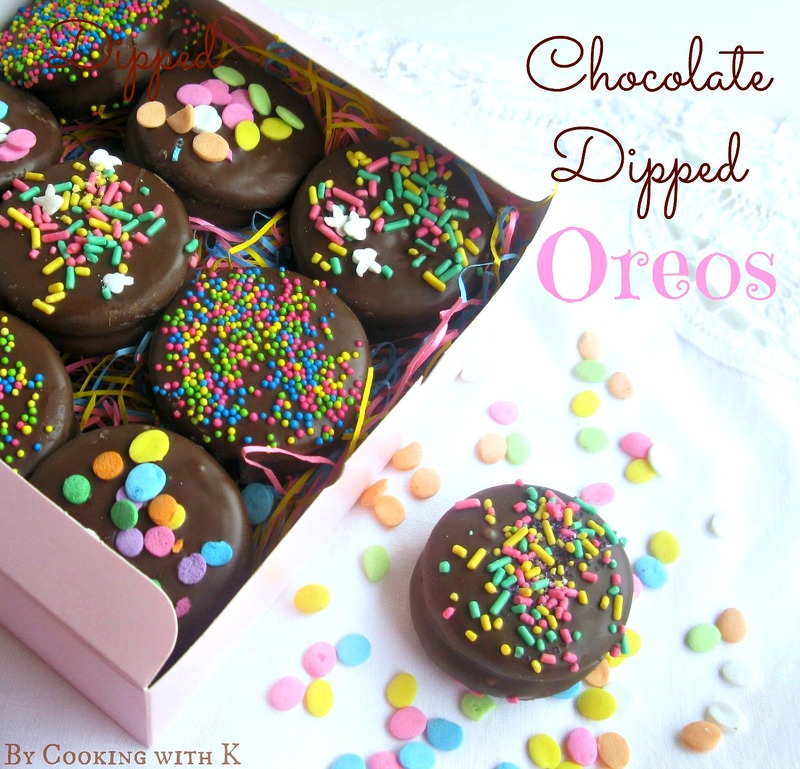 These look amazing Kay :) Thank you for linking up to Recipe Sharing Monday. You were featured this week! I hope to see you back, have a wonderful week.